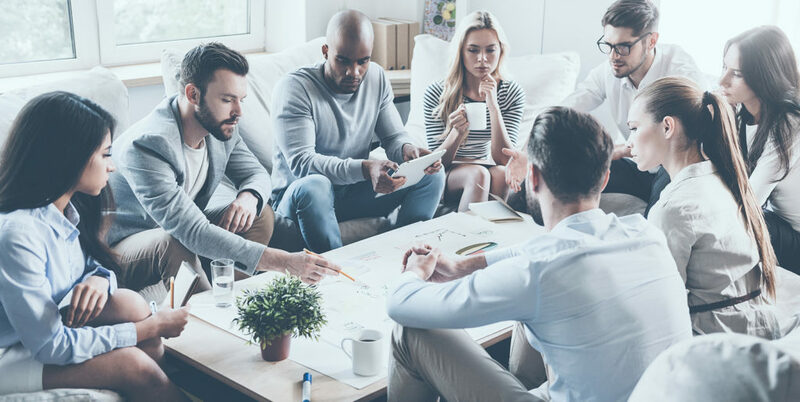 As a leader within your business or organization, you probably have two big concerns: improving employee well-being and, of course, improving the bottom line. Often, you may feel as though one comes at the expense of the other. But here’s some good news: profits don’t have to take priority over employee happiness. Both can be achieved through workflow automation. Of course, workflow automation provides productivity benefits. It handles the menial work that your employees shouldn’t have to worry about; after all, your employees were hired to practice their skill set—not fill out forms or print and scan documents. With workflow automation tackling your routine procedures, you’ll see an automatic productivity spike from that alone. But beyond that, workflow automation also drives employee engagement—a critical component of contentment—which, in turn, can have a positive impact on your bottom line. Statistically speaking, studies show that improving employee engagement has tangible benefits for businesses. For example, an increase in employee engagement provides a 21% increase in productivity and a 22% increase in profitability – and these highly engaged employees are nearly twice as likely to succeed on the job. No one wants to feel like a mindless pawn in someone else’s chess game, but most everyone will jump at the opportunity to be a part of something greater than themselves. Though you may think the distinction between the two is fuzzy, they are both quite different and extremely important. A mindless pawn is specifically told what to do and does not ask questions; a contented team member is given a role, encouraged to ask questions and is aware of the entire process, from beginning to end. A workflow automation system makes it easier to draw these distinctions. They break down responsibilities of larger projects into small, yet strategic tasks, giving each member a sense of their role and how it affects the company on a larger scale. These systems also make communication easier by encouraging team members to ask questions. Additionally, workflows often send out completion notifications to everyone who worked on a task or project, which helps employees feel a sense of instant gratification for contributing to the larger company goals. Ultimately, workflow systems allow employees to take ownership of a task or responsibility from start to finish. Not only do they get a clearer understanding of their own contribution, but they also have the opportunity to internalize why their work matters. With a sense of importance, employees become more productive and engaged. Workflow automation software is designed to simplify workloads and remove the need to spend time on repetitive tasks. When planning and creating your workflow, it is important to include those who regularly complete the tasks that make up the process. Who better to determine which steps are wasteful or needlessly complex, and what improvements can be made? So, bring your employees into the conversation! They’ll be able to help you find the bottlenecks in your procedures and, by including them, they’ll feel like an integral part of the team. Your employees are your most valuable assets; utilize their knowledge in their areas of expertise, and prove to them that their input is valued. Once you have designed and implemented your workflow automation systems, there will inevitably be some bumps in the road. At this juncture, it’s crucial to allow employees to give feedback about the systems and workflows that you have built together. Your employees are going to be the ones who are fully immersed in any bottlenecks or breakdowns that are experienced—so if you want to fix them, you’ve got to keep your ears open. By hearing employees out, you’ll both discover organizational issues and demonstrate your serious commitment to your employees. Even if your employees don’t raise any concerns or questions, creating an open environment will make employees feel valued. Lastly, if your employees do make suggestions that you spend some time actively considering, let them know. It goes a long way to demonstrate that you are devoted to listening and seriously considering their suggestions. On top of that, if you are having difficulties implementing their suggestion, incorporating their valuable insight could be critical. Everyone wants to feel like a part of a team. Workflow automation allows you to create a team atmosphere, especially when you include your employees in the development process. And it works twice as hard to improve productivity by increasing both efficiency and employee engagement. Further, by encouraging your employees to speak up and consistently provide their input, you will experience the benefits of fixing real, previously unknown problems. Workflow automation, combined with an open and collaborative atmosphere, is how you can truly bring out the best in your employees and your company overall.